In Transit is a project about flexibility in urban planning. 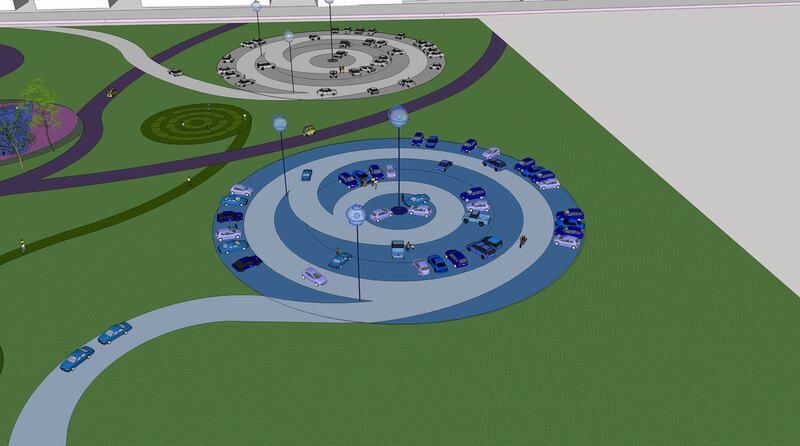 The project combines the opportunities and needs of a city and its civilians. 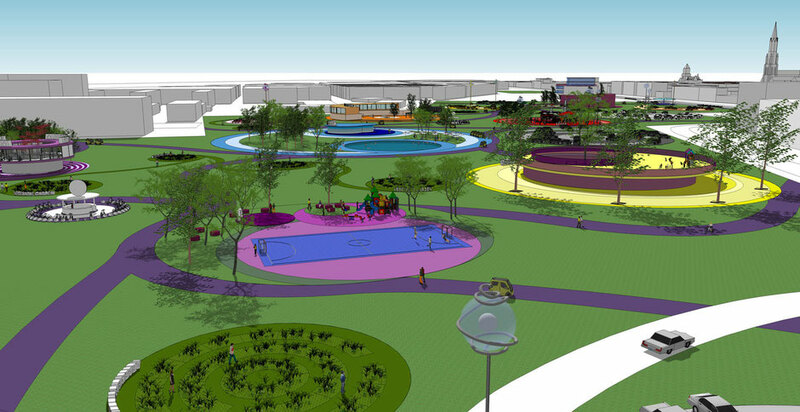 In this specific case in Delft a 20 acre plot (railway area) will be developed in ten years. Meanwhile the area is not being used and it is therefore available for ten years. In Transit turns the area into a colorful work of art. 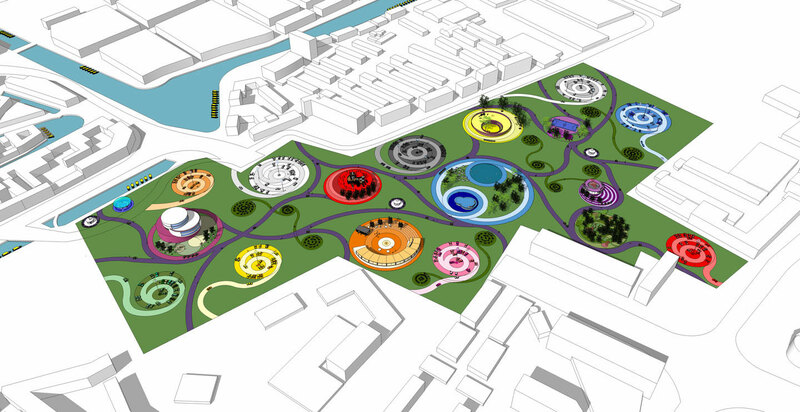 It offers space for interaction with the residents and visitors of Delft. They take part in the biggest art project of Delft. Above all it is a project that gives something back to the city. 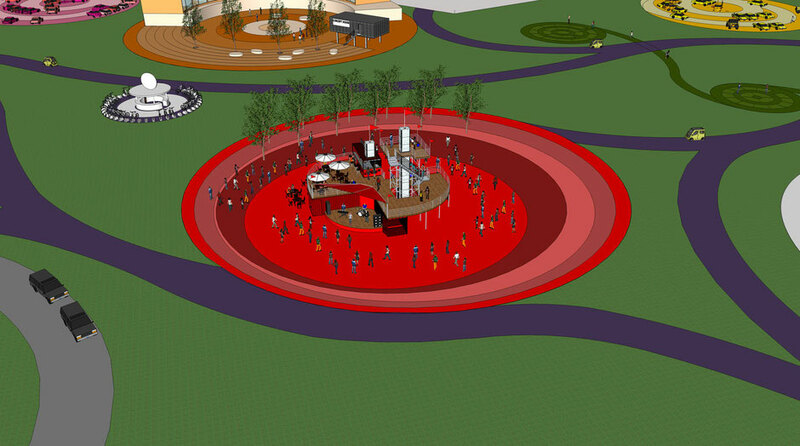 The effect will be noticeable in the center of Delft. An important criterion is that: "In the city center of Delft you experience that something is happening at the Delft railway area." It is a great gesture with an impact that extends far beyond the city. Besides the artistic nature of In Transit it also has a very practical approach. It responds to the needs of the city where parking is an issue as well as the need for (more communal sentiments towards) sustainable energy, innovation, health and participation. Another important part of the project is to generate energy. Together with various technology partners we develop a fitness center where all fitness energy will be used for the energy consumption of the project. 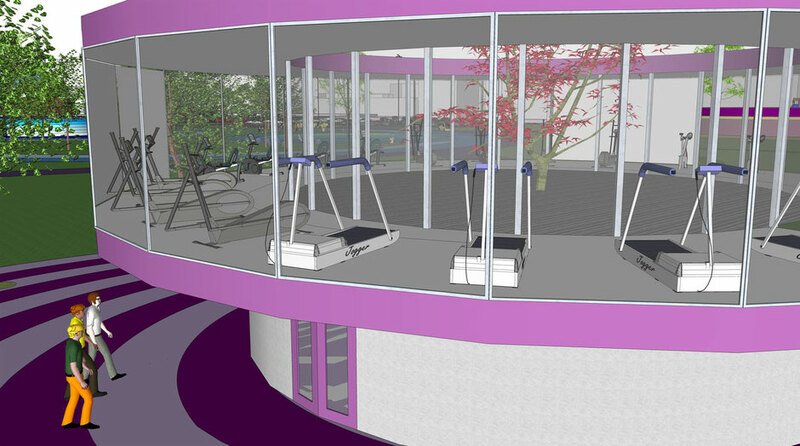 In the fitness center people create power for the project with special fitness machines which can convert the human effort into electricity. People come there to burn fat and that takes a lot of energy. The energy generated here is used directly for the components of In Transit such as the electric shuttle, lighting and the innovation lab. Besides power generation sports is obviously very healthy for you! We go further in the technology of energy. We co-work with experts and develop new ways of sustainable solutions. The energy generated is now used for the shuttle service and for the electricity of the project. Go to the public fitness center and step on one of the fitness machines. There you can build energy credits. These credits can be used again to pay for your parking ticket. A workout on one of the devices is enough for your share necessary for the energy for the shuttle. If you continue with your workout you can actually earn a free parking ticket. That’s when the circle is closed. The circles come and go and adapt, depending on the development phase of the area with will be developed at the same time. There is a difference between areas that will be available for a long time and between areas that are available for short term use. 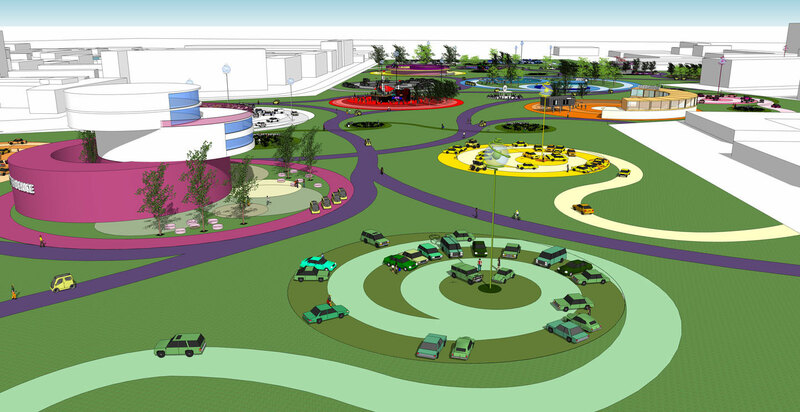 The parking spaces and temporary green spots are due to the simple move them suitable to be applied to other areas. Other constructions such as the innovation lab, child care, 'playground and green places are programmed on areas which are available for a long time. Because the railway area is right next to the center this creates a unique opportunity to have a car-free city center. Visitors and residents can park there. Only local traffic can still enter the center. 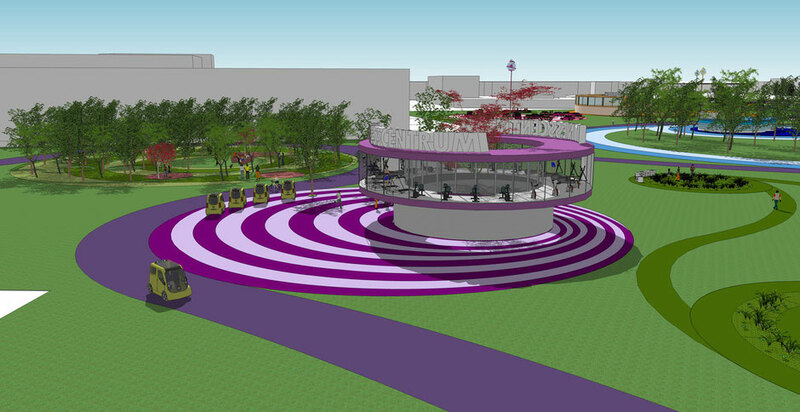 It will make the center a nice area where you can stroll around without the noise and pollution of cars. To arrive at the center, you use the shuttle service. 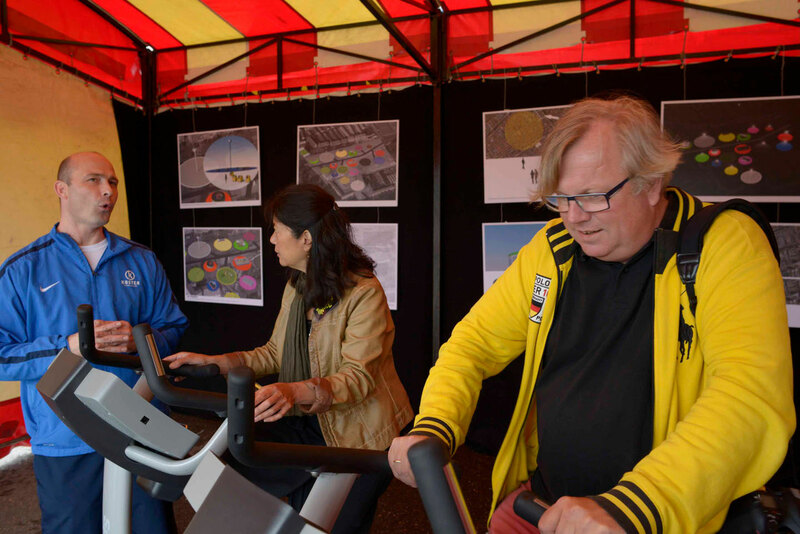 This is a unique opportunity for Delft to display itself as an innovative city. 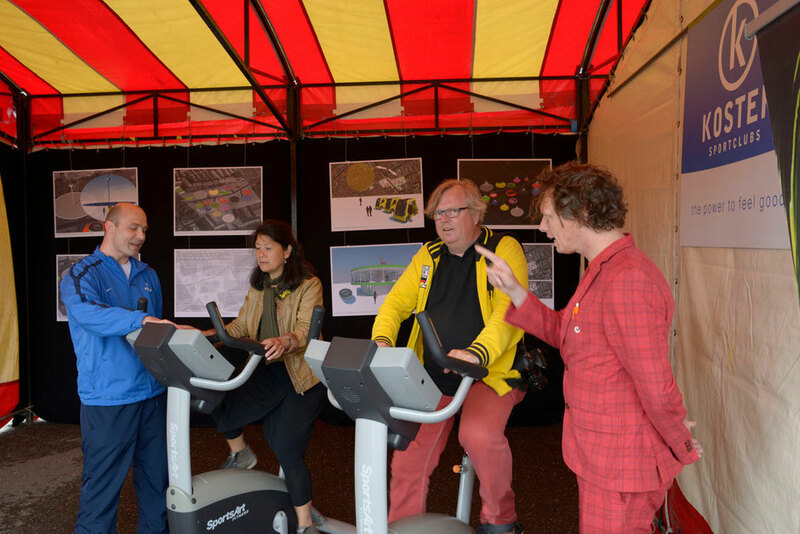 When the fitness center and the innovation lab are realized this is used as an engine for achieving more local energy generation in Delft. 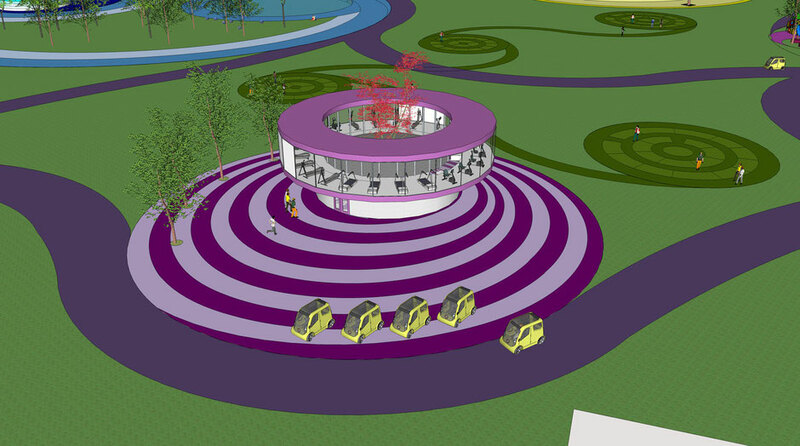 We will work in cooperation with the municipality, TU Delft, businesses and local residents. We will develop collaborative energy creation formats that can be linked to technological products that we’ll develop together. Since this is a temporary project, we use the railway area as an experimental field. In Transit leads to other temporary and permanent interpretations elsewhere in the city. The crop is sown again and again realized in other places in the city. 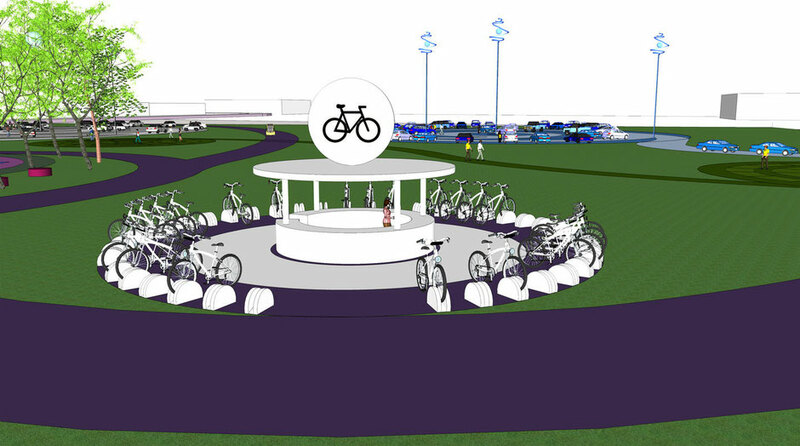 Of course, this project can also be implemented in other cities. Demonstration at the Day of Architecture.